WE WANT EVERYBODY IN THE WORLD TO FIND YOUR WEBSITE (IF THAT'S WHAT YOU WANT). At Gravitate Agency, we always tell you exactly what it’s going to take to get you where you want to go and we have all the skills in-house to get you there. We call our practice “white hat SEO” because we implement the cleanest, most effective good guy web tactics on the market. 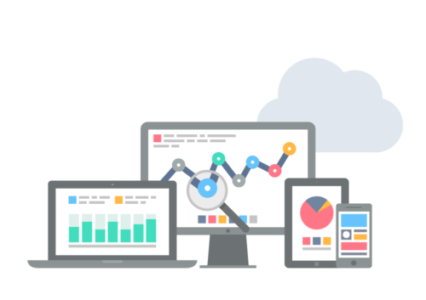 Gravitate Agency combines detailed knowledge of your customers with a deep understanding of the signals that Google and other search engines use to measure the engagement, relevance and performance of your website. This allows us to develop strategies that not only increase your search visibility, but also help your website to engage and convert. Put simply, SEO is the process carried out in an attempt to get a specific website to the top of Google and other major search engines when particular keywords are searched. We research the online landscape for your particular industry to find the proper keywords for your SEO efforts, then create keyword-rich landing pages to increase search potential. We also have a brilliant web development team who can design, build, and update your website to maximise search engine optimisation and create visual appeal. My budget is very small, is it even worth it? Yes! We proudly work with budgets of all sizes and get results with them all. Of course, a higher budget will mean you can reach a larger population with more keywords, but that’s not to say we can’t still reach potential customers. Even dedicating the cost of a cup of coffee to your businesses SEO budget each day will have a positive impact on your search rankings. Is SEO right for me? Are there any other online marketing options? With so many people looking for goods and services online these days, having your website appear high up on all major search engines is vital – so yes, we think SEO is right for pretty much everyone! If, however, you need results quick because of a deadline, or event date for example, then Pay-Per-Click (discussed below) would be a better option. SEO is great for so many reasons, but it is by no means instant. It can take weeks or even months to make solid progress – but the results of a well-ran campaign are worth it in the end. Obviously a very important question, but the truth is we can’t answer this without first assessing the current situation. We need to figure out how far you are from where you want to be, time frames and budgets. Generally speaking, you can set your monthly budget and we can provide realistic targets. We monitor our work and will make amendments as we go – ensuring you are always getting the best return on your money! We offer a Small Business package that include a website and marketing services, where we’ll take care of the basics for you – ensuring your business is seen on Google by the people you want to see it. How long will it take for my website to be at the top of Google? There are many factors that determine your position on Google and how much time it’ll take to get there. Your current website’s on-page SEO, competition and budgets are all huge factors. Generally, no two websites are the same – so there’s no ‘one size fits all’ solution. But rest assured, Gravitate Agency works hard to earn your trust and praise. We’ll explain everything to you and provide realistic expectations when you talk to our marketing experts. Pay-per-click, also known as PPC, is a method of marketing using services like Google AdWords, Facebook Ads, LinkedIn Ads, and sponsored search results on Bing and Yahoo search engines. The beauty of PPC is that you only pay when people actually click on your ad, so this is a very targeted way of advertising that helps you reach the people that matter. Speed is another great reason to utilise PPC – if we were to setup a campaign at 9 in the morning, your ads will be live by lunchtime! Can I setup a Pay-Per-Click campaign myself? You can indeed, but our knowledge in the arena of paid marketing means we generate stronger results from more effective campaigns every time. We can pretty much guarantee you that our campaign will reach more potential customers for much less money, after all we do this day in, day out! Then there’s the fact that you likely have more important things to be doing for your business than trying to work out the best keywords for a PPC campaign. We are transparent with our procedures and will always inform you of our progress. How long does it take to setup a PPC campaign? Pretty quick! We will collect information from you such as the product or service you wish to advertise, your target market and your budget. We will then get to work on researching the best keywords to use that’ll give the best ROI. Once we confirm with you, we submit the campaign to Google, Facebook etc. Usually within a matter of 15 minutes or so, the campaign will be live and in front of your potential clients. Pay-Per-Click or SEO for my business? Many businesses often suit both SEO and PPC marketing, and we can help you decide where your marketing budget is best spent between the two. We generally feel that SEO is a better investment long-term but although PPC can be more expensive, it is extremely targeted and fast. As results vary from industry to industry, business to business, we often recommend trialling both methods with a modest budget and that can help make a decision on how to progress. As PPC is essentially bidding for your ad to be displayed, the cost can vary throughout a campaign. If you happen to be in a particular industry that has considerable competition, then the cost-per-click will be higher. But before we start any campaign, we can give you a detailed report on what costs to expect and how far your budget will go. WE HELP BUSINESSES SUCCEED ONLINE EVERYDAY.